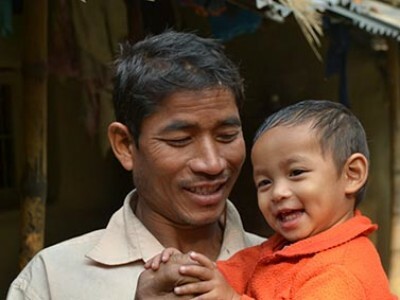 What Impact Does Giving a Family Gift Have in a Child’s Life? 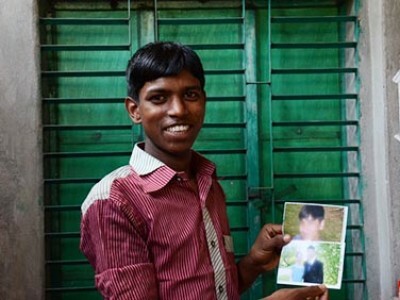 After his accident, Biswanath lost all his expectations for life. He couldn’t find a job due to his weak leg. He struggled to provide for his family and began selling marijuana. The dark side of life grabbed him. The thirteenth year of a girl’s life should be a sweet time. She is in between childhood and adulthood. Dreams, hope and excitement make it an amazing period of life. This is certainly not the time to get married and have babies. 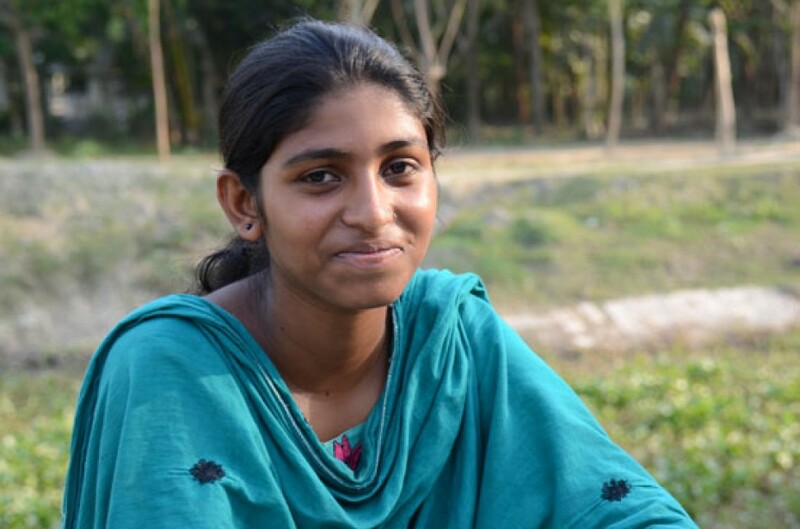 However, for many Bangladeshi village girls illiterate parents force them to marry at this age. After marriage, they are exposed to a physical relationship for which they are not prepared. This creates disorder in their lives. Within a year of marriage, most girls give birth. An extreme load of household work at their in-laws’ houses and their physical deficiencies make them weaker every day, and they are often badly beaten by their illiterate husbands. Eventually, they are thrown out of their in-laws’ houses, often returning to their parents’ houses to become burdens to their families. This scenario is the reality for thousands of young girls living in remote areas of Bangladesh. At the Verchi Child Sponsorship Program (BD-308) child marriage is a threat. 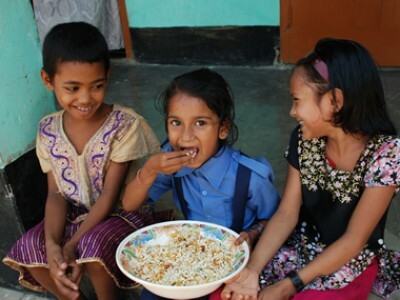 Through our child development centers, the ministry has initiated a new type of friendship in Bangladesh. 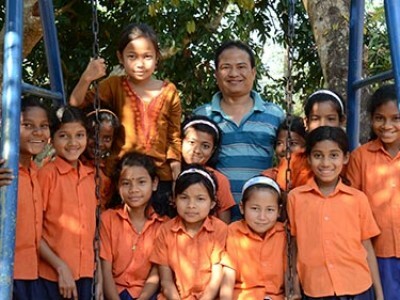 For sponsored children, friendship isn’t limited to age, distance or culture. Sujon decided never to see his daughter’s face. Ignorance, superstition and the effects of a dowry system had hardened his heart. Somapti had a father, but she was virtually fatherless. Our ministry in Bangladesh has been blessed by excellent managers who are contributing to the lives of marginalized children. Piyush is one of those making differences in the local community with his intelligence, talent, creativity and, most importantly, his heart for God and children. A Little Jhal Muri (Spiced Puffed Rice), Anyone? Jhal Muri is one of the most common and popular snacks In Bangladesh. Smashed potatoes and egg curry are also popular dishes. Sponsor letters can do more than money, because they build a relationship between child and sponsor. These letters are not just pieces of paper; these letters are filled with love, affection, emotion and inspiration for children. A short message from the sponsor could play a vital role in the life of a child. The letter is not only a piece of paper, but it is a tool that builds a friendship between a child and a sponsor. It can develop a heavenly bond of love. Mothers in the Child Survival Program (CSP) are under the care of an expert CSP implementer during deliveries. This decreases the chance of infant mortality. The awareness program, baby training and other assistance (like nutrition and baby kits) provided through the program helps ensure a healthy mothers and babies. The people of the Santal community have lived in the northwest region of Bangladesh for hundreds of years. They are one of the major tribes in Bangladesh. The features of the Santal people are quite similar to those of the Bengali people, the original inhabitants of Bangladesh, but the Santal people are a bit darker in color and have curly hair. The Santal people practice ethnic religions or idolism. They do not practice Hinduism, but they worship several Hindu gods along with nature. They have their own tribe language, called Santali. It is completely different from the Bengali mother tongue, Bangla. About a century ago, the Santal tribe possessed vast land properties in the northern part of Bangladesh. But according to Santal history, some cunning people from other communities took advantage of their addiction to home-made alcohol called Chuani and grabbed their land, not only making the Santal tribe poor but also ruling them for decades. The Garo community is one of the major tribes in Bangladesh. According to the history books, the Garo tribe entered Bangladesh in the first century. They were refugees from Mongolia and came to this region through Tibet. The Garo have stayed in Bangladesh for thousands of years. Initially, they followed a religion called Sonatoni. Today, nearly 100 percent of the Garo tribe practices Christianity, though a few still believe in Sonatoni. Garos have their own language, Achick, which is completely different from the local language, Bengali. Achik has several accents/branches such as Habeng, Attong, etc. The Garo tribe also has its own culture. Their dress, food habits and celebration styles can be easily distinguished from the Bengalis and other tribes. The people from the Garo tribe have different features than the original inhabitants of Bangladesh (Bengali people). They are a little shorter and have fair skin. Their eyes and nose are similar to their ancestors from Mongolia. Compared to the other tribal groups, the Garo tribe is little advanced in education and social activities. The first Garo church (Garo Baptist Convention) was established in 1910. Many missionaries and evangelists from Europe and North America worked among the Garo people over the decades. The availability of clean water can be taken for granted in developed countries such as the U.S. or U.K. For people in Bangladesh, however, clean water can be scarce. Watch the clean drinking water video and subscribe to Compassion YouTube for more stories. In many remote places in Bangladesh, people may never drink clean water. They suffer from waterborne diseases, which are adopted into their lives as normal. Flying over Bangladesh, you see hundreds of rivers and canals covering the country. But most of these water sources are badly polluted and not safe for drinking or other uses. So not only is it difficult to provide food for everybody in this impoverished country, it is even more difficult to ensure safe drinking water for the people of Bangladesh. Haydarnashi Child Sponsorship Program has had a problem finding clean water from the very beginning. The cook had to carry drinking water for 142 children every day. He also had to carry the water for daily cooking.